In the book of Ecclesiastes, Solomon was once philosophizing on a life without God. 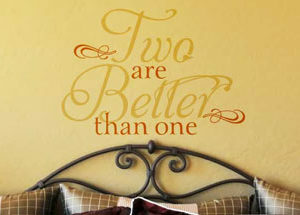 He said in Eccl 4:9 and 11, “Two are better than one. 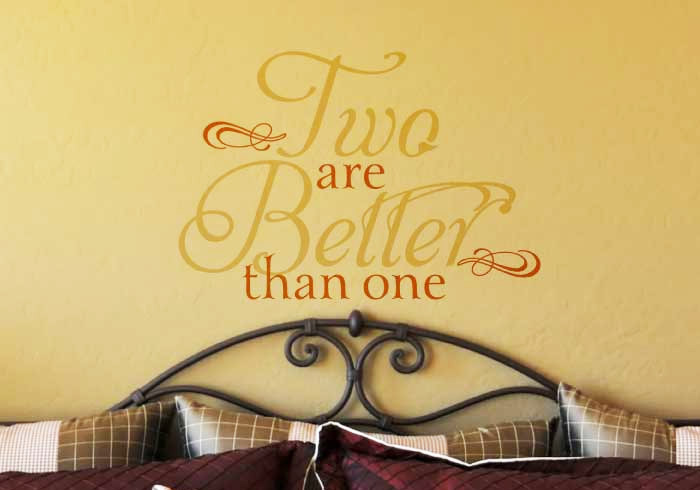 Also, if two lie down together, they will keep warm. But how can one keep warm alone?” Interesting question, isn’t it? You can lie under your thickest blanket all day but without the presence of any loved one, it is just another winter day. 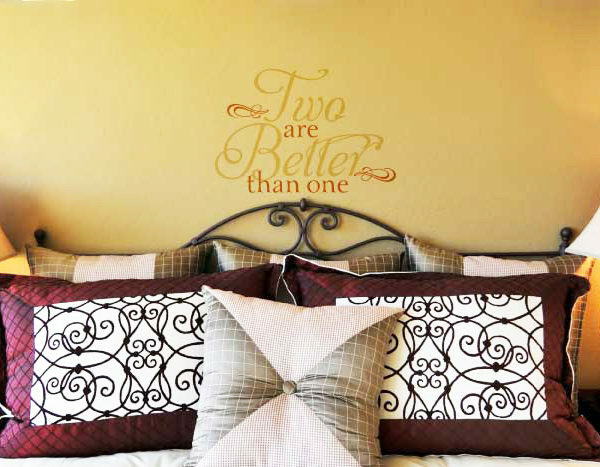 That’s why this scripture wall decal is impeccably suitable for the parents’ bedroom, the dining room and the living room. You enjoy filling the dining room with the interaction of you and your children’s exciting stories; go laugh, be joyful and share the warmth of each other’s affection on a cozy day in the family room. We all delight in everyone’s company. 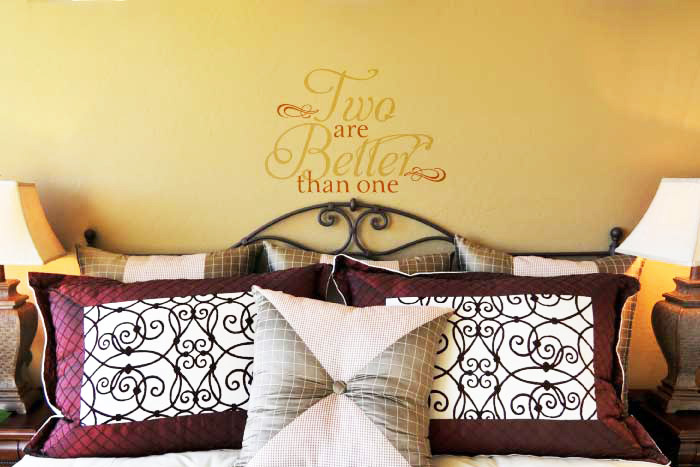 The parents’ bedroom is also an excellent place to display this scripture wall decal. God saw and concluded in Gen 2:18, “It is not good for the man to be alone. I will make a helper suitable for him.” Therefore, continuing Solomon’s verse in Eccl 4:12, “Though one may be overpowered, two can defend themselves. A cord of three strands is not quickly broken.” You are the first strand, your husband/wife is the second, and God is the third strand that binds; altogether, you are not easily broken. Isn’t it beautiful to keep in mind words of such meaning? 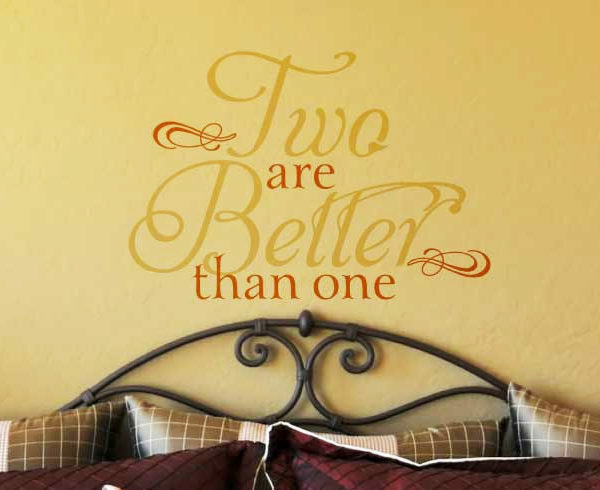 Immortalize them on your wall with scripture wall decal here at WiseDecor! Take a visit at our scripture library for more selections, more customized looks and additional lettering arts.